Japan’s internationally-famous maid cafe maidreamin will present authentic and fun maid service at ANI:ME Abu Dhabi October 27-29. The three-day event is a celebration of Japanese popular culture, showcasing the best of anime, manga, cinema, music, and games, as well as anime-influenced comics, animation and films from around the world. maidreamin will bring kawaii delight to their masters and princesses, with three of maidreamin’s most loved and awarded maids, Mariru (Akihabara), Hinata (Shibuya), and Peace (Shinjuku), performing songs as “maidreamin Special Unit: 003”. maidreamin is presented at ANI:ME by NePt Japan, Inc.
Other guests of the first-year event include renowned Japanese cosplayer Enako, Japanese mascots SANASENABONA, manga artist Shinji Hiramatsu (Doberman Deka, Black Angels), writer Kaworu Kurosaki (Rurouni Kenshin, Captain Tsubasa), satsuma biwa musician Yuiko Mizushima, Japanese comedian Amezari Hirai, and E-Sports events presented by SUPICO featuring Japanese pro-gamers EITA (Street Fighter) and RIRAN (Call of Duty: Black Ops). ANI:ME will also present musical performances by JAM Project, FLOW, Mika Kobayashi (Attack on Titan), and a Hatsune Miku augmented reality photo booth. maidreamin is the No.1 Maid Café restaurant in Akihabara. Founded in 2008, maidreamin has become the largest maid cafe chain with 17 locations and over 400 servants from Japan and around the world. In 2016, three of maidreamin’s most loved and awarded maids appeared as guests of honor at Anime Expo in Los Angeles, the top anime and Japanese culture event in America. Expert maids Mariru, Hinata, and Ayame performed as “maidreamin Special Unit: 003”, delighting fans and instructing newcomers at the AX Maid Cafe on the traditions and excitement of maid cafe culture. In addition to their performance at the maid café, maidreamin performed a live show at the AX2016 opening ceremony stage in front of the packed audience. The streaming anime service Crunchyroll invited maidreamin to their stage on day 2 of the event and set the record for fans in attendance at the booth during the convention. maidreamin welcomes fans from all over the world at their cafes in Japan, and spreads their happiness message in English and Japanese to male and female fans of all nationalities (Twitter: 15,000+ followers, Facebook: 60,000+ followers). Maidreamin’s popularity and influence continue to expand, bringing smiles to Japanese culture fans everywhere. Mariru (Akihabara) – likes Pocky, banana sweets, anime, and video games! She’s an expert at making the “moe moe kyun” heart! Hinata (Shibuya) – likes singing, dancing, and doing impressions of Doraemon! Peace (Shinjuku) – likes stars, fluffy clouds, Konpeito sugar candies! Enako began her involvement in cosplay after becoming interested in the television anime series The Melancholy of Haruhi Suzumiya and Rozen Maiden. She organized the idol unit “Panache!” in 2012, and performed frequently through 2013. With over 200K followers on Twitter, Enako is a cosplay sensation in Japan, appearing at , cosplay, and television events around the country, such as Japan’s famous Comiket. 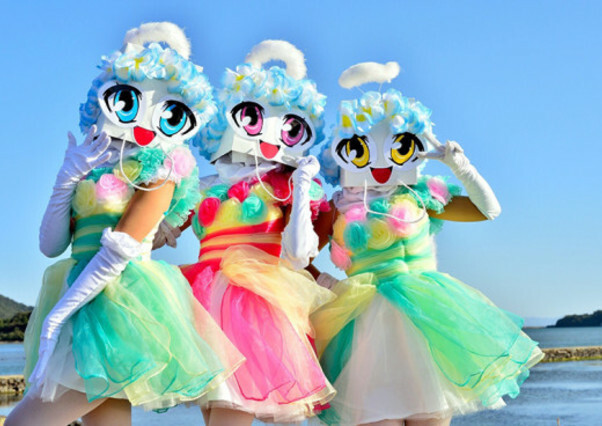 SANASENABONA is a “paperbag fairy” idol group from Sasebo, Japan. The 3-girl group sing, dances, and chats with everyone they can about their great city. Sana loves sports. Sena loves fashion and she can use magic. Bona loves to laugh and she is a very loveable character. Shinji Hiramatsu is a Japanese manga artist from Okayama. He is one of the manga artists who contributed to the golden age of Weekly Shonen Jump. He submitted his original manga story to the Monthly Young Jump Award of Weekly Shonen Jump when he was a junior high student. It was successfully published, and he moved to Tokyo after graduation to study as the assistant of Norihiro Nakajima. 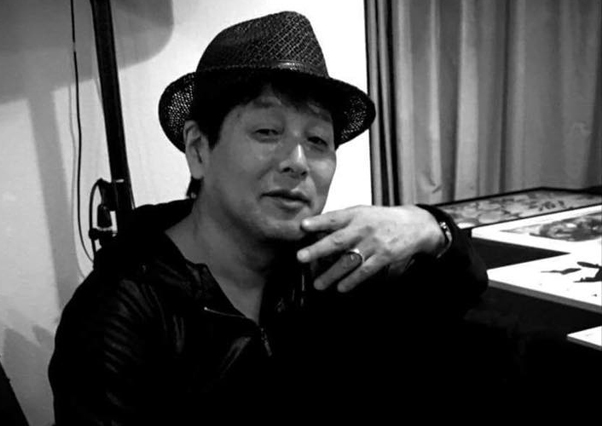 Soon after, he started work on Doberman Deka in Weekly Shonen Jump, collaborating with famed manga author Buronson to create the famous, long-running manga series. Hiramatsu’s work has many variations, such as the “good always wins” type (seen in Black Angels and Murder License Kiba) and the “martial arts” type (seen in Ricky Typhoon and Dos Koi Gigolo). Many famous comic authors started their careers as assistants to Hiramatsu, including Tetsuya Saruwatari (author of Tough) and Yoichi Takahashi (author of Captain Tsubasa). They still keep their friendship and appear on talk shows together. His recent work Mansho, which combines manga and shodo, became a smash hit, and many exhibitions are being held throughout Japan. Kaoru Kurosaki is a Japanese novelist who was born in Japan in 1969, and spent her childhood in Brazil. Her works include Buso Renkin, Rurouni Kenshin -Ginmakusouchihen, and many others. Her husband is Nobuhiro Watsuki, a manga artist. She helps his work, Rurouni Kenshin and others, by supervising histories, creating female characters, and planning tricks. She also writes scripts for games and anime including Captain Tsubasa (TV anime), and WILD ARMS the Vth Vanguard (game). Kurosaki has often made connecting flights to Brazil at Abu Dhabi Airport in the past, but this is her first time to enter the country and enjoy its culture, and she is really excited to be at Ani:Me this year! 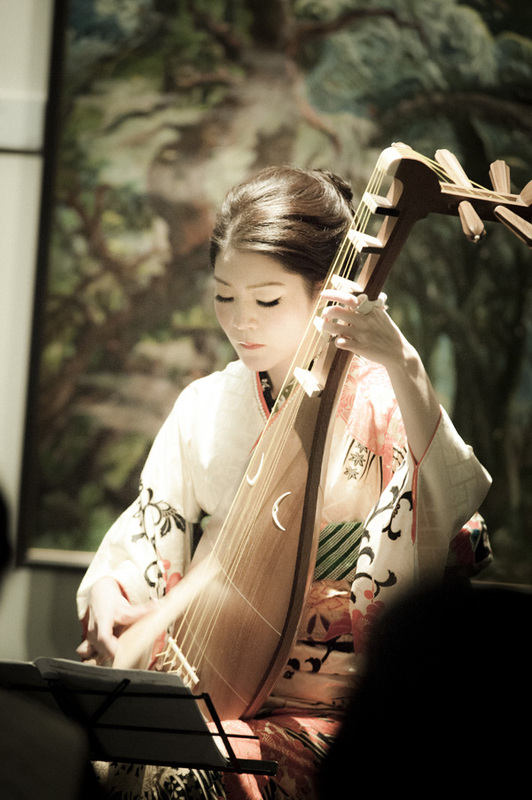 Yuiko Mizushima is one of the very few professional satsuma biwa players, with 15 years of performing experience. Satsuma biwa is a traditional Japanese instrument with a graceful, pear-shaped body. The instrument is played with a large wedge-shaped plectrum called a bachi, and it’s often used as the instrument for samurai stories. Mizushima first encountered the satsuma biwa at a music club when she began her studies at Waseda University. She felt if she can be the number one biwa player in Japan, she could be the best in the world, and that desire has been her motivation ever since. Studying under master Yukio Tanaka, one of the famous students of world-famous biwa artist Kinshi Tsuruta, Mizushima adds spice to this traditional genre with added layers of pop and rock music. She released her latest album “BIWA and LIPS” in October. Ani:Me is Mizushima’s first overseas performance, and she is excited to eat local foods in Abu Dhabi! SUPICO stands for “Super Pico Pico”! “Pico Pico” is a fun Japanese phrase for the digital music that you hear when you play video games. SUPICO is a game-centered live streaming program MC-ed by Yoshiyuki Hirai, half of the comedy duo America Zarigani, and a popular voice actor in the Japanese anime and game series Natsume Yuujinchou, Bomberman Jetters, and Inazuma Eleven. At Ani:Me, SUPICO will live-stream Ani:Me events to Japanese media sites to connect Middle Eastern and Japanese fans. They will be introducing Japanese “manga x game” titles such as Naruto: Rise of Ninja and One Piece: Burning Blood. 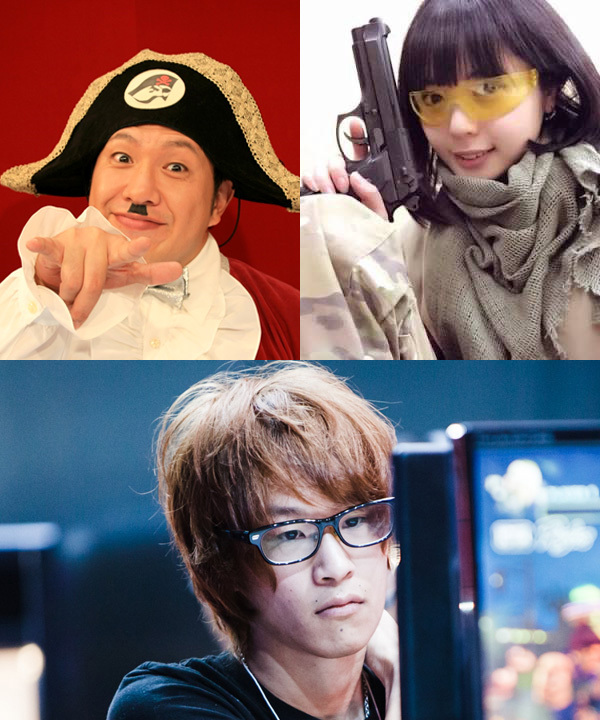 Also, Japanese pro-gamers EITA (Street Fighter) and RIRAN (Call of Duty: Black Ops) will participate and SUPICO will hold an E-sports tournament welcoming Middle East pros. TEKKEN’s Middle East advisor Abdul will appear at the booth to promote TEKKEN 7. Amezari Hirai is an award-winning Japanese comedian who formed the comic duo America Zarigani. Hirai makes regular appearances on Japanese TV, radio, and internet. In addition, he is creator of the flash animation “Aka-chan (56)”, and won the World of Table Tennis Commercial Award. He joined the Nintendo 3DS “GUILD01” project and produced “Rental Bukiya de Omasse”. Hirai established the serial comic “Sakiyomi Jan Bang! Hatsu – Zaripai-sensei no 4-koma Manga Corner Daro!” which appeared in Saikyou Jump magazine. He created “Super Pico Pico Club” and MCs live video game broadcasts. Hirai aims to spread awareness of Japanese manga and anime around the world. RIRAN is a female gamer talent from G Office and presents live videogame broadcasts on her YouTube channel “u.Riran”. She’s MC of the popular TV game program “Shiken TV” and broadcasts the digital card game “Shadowverse” on “Shishirara TV”. Japanese professional gamer EITA is from Team Hail Mary, specializing in the combat fighting game Street Fighter. EITA has competed in South East Asia Major 2014 (Singapore) UMVC (31st), and Shadowloo Showdown6 (Australia) KOF13 (4th). 2016 appearances include EVO2016 (USA): Street Fighter 5 (7th), Thaigeruppercut Championship 2016 (Thailand): Street Fighter 5 (1st), Abuget Cup (Indonesia): Street Fighter 5 (1st), E-Sports Festival Hong Kong 2016 (Hong Kong): Street Fighter 5 (2nd).